The tablet is intended to compete with Microsoft’s Surface Pro, and Apple’s iPad Pro. It’s a new “convertible” device, which is to say that it can be used as a tablet, or as a laptop, or as a digital sketchpad. Through a keyboard – the Pixel Slate Keyboard – and a new digital stylus, the Pixel Slate takes on new forms. GoogleHere’s the Pixel Slate with the new stylus. Since the device is made by Google, it’s running Google’s operating system: Chrome OS. That’s an important distinction, as this isn’t an Android tablet. Instead, the Pixel Slate is more of a Chromebook than anything else – designed to run Chrome-native software, including Google’s suite (Docs, Calendar, etc.) and a broad variety of third-party applications. Unlike previous Chromebooks – the Pixelbook specifically – the Pixel Slate is more than just a laptop. 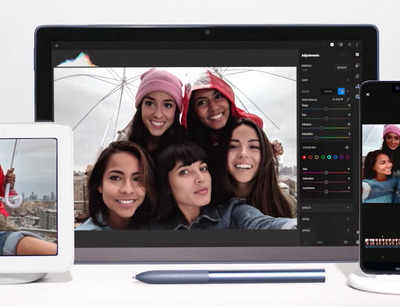 As you can see above, Google envisions Pixel Slate owners treating the device more like Microsoft’s Surface Pro and Apple’s iPad Pro devices – powerful, laptop-like handhelds that easily convert into tablets. 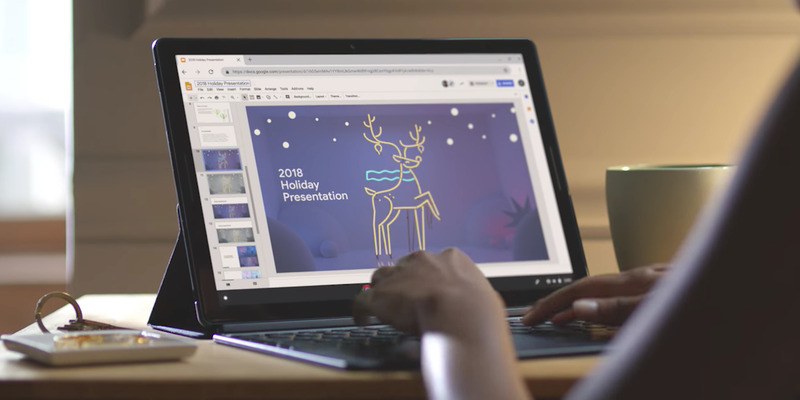 “This Chrome OS device is both a powerful workstation at the office, and a home theatre you can hold in your hands,” a blog post from Google introducing the new device says. 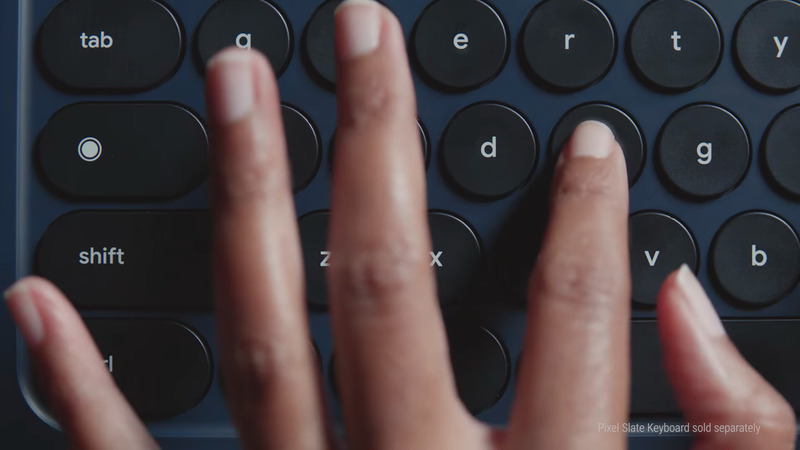 GoogleGoogle’s Pixel Slate Keyboard is an attachment for the Pixel Slate. The Pixel Slate Keyboard connects to the tablet simply, via magnetic port. It has a trackpad included, and boasts “hush” keys; the keyboard doubles as a tablet case when it’s folded against the screen. Like a tablet, the Pixel Slate has front- and rear-facing cameras – both are 8MP, and offer Google’s excellent photography software that’s used in the Pixel phones. Like a laptop, the Pixel Slate can multitask, and has built-in virus protection. Google’s also boasting an integrated Titan Security system – the same security that Google uses internally – and automatic system updates in the background. And, like Google’s Pixel line of smartphones, Pixel Slate has Google Assistant integrated – say “OK Google,” and the voice assistant is activated. Google says the Pixel Slate will be available “later this year” for $US599; the Pixel Slate Keyboard will cost $US199, while the new stylus is $US99.